When you consider that PlayStation already plays host to every third-party property that matters, we suppose it’s a bit silly for Sony to be chasing trends with exclusive titles. This is something it did in the past, with so-called “Halo killers” like Killzone and Resistance – but more recently it’s started singing to its own tune. There’s no doubt that the platform holder makes amazing story-driven games, and that’s where its emphasis has been. Worldwide Studios chairman Shawn Layden says that will continue moving forwards. It’s true that PlayStation’s output has been less prolific than in the tail-end of the PlayStation 3 days, where it would sometimes release a new exclusive every month. But the quality has also generally gone up, with the likes of God of War, Horizon: Zero Dawn, and Marvel’s Spider-Man not only attracting enormous critical acclaim but also setting cash registers alight. Layden reiterated that it’s all part of the platform holder’s “first, best, must” philosophy, which is something that he’s touched on in the past. “If your title is going to be ‘first’ and creating a genre, or ‘first’ and creating a new game activity, let's look at that,” he explained, perhaps alluding to a project such as Dreams. “If you're going to make an action adventure game, it better be ‘best’ in class. And we have the third category called ‘must’, which is we must support the platform, we must be present when new technology comes out.” Something like Astro Bot Rescue Mission is a good example of a “must” title – it’s obviously proven a big sales driver for PlayStation VR hardware. Looking at how hard it is to make games now, we think Sony’s philosophy is right. Last generation it invested a lot of effort into lower-tier titles like SOCOM 4, MotorStorm: Apocalypse, and Twisted Metal – games that were decent, but demanded budget that in hindsight probably could have been better invested elsewhere. We reckon last year’s lineup is the bar for PlayStation exclusives – if it can deliver like that annually, then we don’t think anyone can complain. Good! Keep focusing on single player / narrative focused games Sony - it's what you do best! Sony's doing what everyone else should be doing: seeing gaps in the market and filling them with high quality stuff. Quality over quantity every time. The man talks a lot of sense. stick to what your doing guys the output is perfect for me. I read the article and he made some good comments about E3 as well. Good to know that Sony are going to continue doing what they do best, creating amazing single player story driven games, it’s the reason I bought a PS4 Pro in the first place, if they continue to bring quality single player games well into the PS5’s life then I will get a PS5 too after at least 3 years after launch. 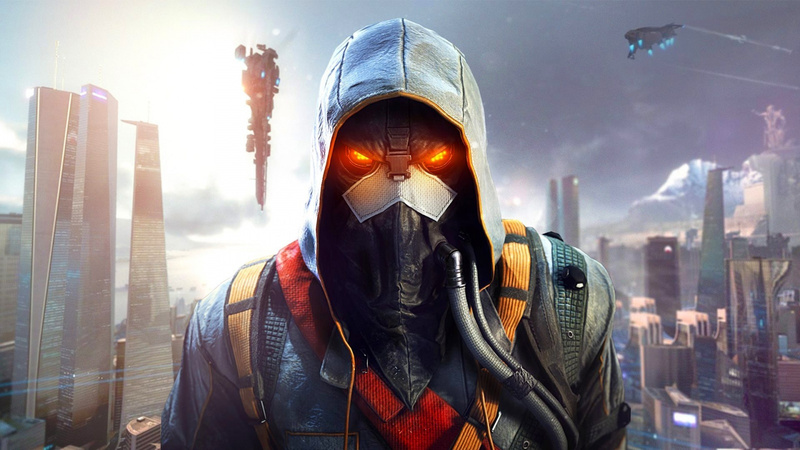 Killzone and Resistance were superb titles and it would be great to see them on the PS5. Story driven stuff wins me over hands-down rather than run-n-gun titles. I agree we don't need any more Battle royale games the market is flooded with them already. There are many mp focused games now, especially battle royale, it’s difficult to compete with the likes of Fortnite. Sony should keep focusing in single-player games imo, also VR because of PSVR. Let other studios release multiplayer and indie games. Not saying that Sony should not bring a series like SOCOM someday, but the focus should be definitely single-player. I just ask for more mid-tier games though, these are amazing and there aren’t so many in the market nowadays. Medievil is coming and that’s great, I also loved The Last Guardian, Gravity Rush series, Puppeteer, Sly Cooper, etc. Ratchet & Clank could be considered mid-tier too, right? Definitely one of my favorite series. Resistance 2 had sort of battle royale anyway. Ruined the multiplayer. A Killzone BR would probably give me pause, but only because Guerilla work so damned hard and make really engaging multiplayer. Sony is now my favourite company. This explains why Sony aren't working with too many indie studios these days and actually let a few go so they can put more resources into fewer but higher budgeted games. I think Sony's mid tier games now may well be the remakes of Medievil, Shadow of the colossus, Ratchet and Clank and the Playlink games. Nice to see Sony communicating strategy a bit and glad they're not jumping on the battle Royale bandwagon. I love the single player story driven content Sony put out. @get2sammyb @Tasuki That’s an article I’d like to see happen. To make the numbers up you could also include the battle royale modes in certain games like RDR2, Ace Combat 7 and BFV’s upcoming Firestorm. @Nyne11Tyme My favourite last gen fps was resistance,and motorstorm favourite arcade racer. At least they could remake motorstorm like they did with wipeout. @MaccaMUFC @get2sammyb Honestly one reason I have stayed away from the BR category is because there are so many and I feel overwhelmed by them then I have to wonder how is the player count with so many they all can't be thriving like say Fortnite or Apex Legends and the last thing I want to do is get invested in a game that is dead. Then you have each BR with their own quirks, Fortnite has the building aspect, Realm Royale has the RPG aspect, PUBG claims to be more realistic Blackout is it's CoD background etc. It's just so overwhelming. I feel an article like that would not only help me but alot of other people as well who want to try the genre but are just overwhelmed. Motorstorm apocalypse was awesome!! I'd support that investment again. @Tasuki I think it's a very much a 'pick your game and stick with it' genre - something concise that covers the particulars of each entry would probably be useful. Do you want to dance, with the possibility for building and maybe shooting? Fortnite. Do you want to spend 15 minutes hiding in a bathtub, with the possibility for some early or late game intense action where your shots may or may not connect based on shoddy netcode? PUBG. Do you want to die in 5 hits, even with Max level armor and health? Blackout. Do you want a hybrid of blackout and overwatch? Apex legends. Now if only Sony made any other games other than 3rd person action games. Where is Jak & Daxter, Modnation Racers, Puppeteer, Ratchet & Clank, Sly Cooper etc? i still think sony needs its own flagship shooter franchise, and with EA/battlefield stumbling a bit recently, the opportunity was there to prise open the market imo. it's all very well having big story-driven games, but when most of your recent and upcoming major titles are all in third-person, it's time to diversify a bit, imo. tbh we always kinda had a flagship shooter with killzone. and while i know that HZD is now guarilla's flagship game,it's still possible that killzone will come back at some point. so yeah it's not that we don't have a FPS shooter,it's just on a break. @RedMageLanakyn This should be the user guide for the Push Square article! So true! @PS_Nation It’s a shame more people don’t feel this way. PS3 exclusives > PS4 exclusives. So he said this before Apex Legends came out? No problem for me, this is what 1st party games must do, filled the games gap rather than compete with 3rd party. Excellant. Focusing on high quality, single player games is exactly why I have a PS..........leave the online focus to MS.
Definitely agree with his sentiment here. Although a Killzone BR would be cool I think the genre is already pretty saturated at the moment.